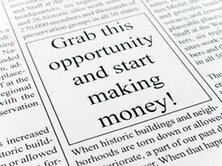 Market and promote your business to increase exposure, consumer awareness and sales to new customers with display advertising in local newspapers in the Ohio market area. Get a 2" by approximately 4" display advertising in 65 newspapers and reach an audience of 705,275 potential customers. Average rate of $179.08 per newspaper for a total cost of $11,055 for one display ad in 65 newspapers, which is payable $8,840 in reward dollars or trade dollars and $2,210 in cash to cover advertising agency commissions and placement costs. * Ad size may range from 2” X 3.75” to 2” X 4.25” which is determined by the column width of this publication. Pricing for this offer represents the reward dollars or trade dollar portion for the advertising. The reward dollars or trade dollars will be debited from your account. The cash portion detailed above will be due and payable with the placement of your insertion order and will be billed directly to your credit card.